In this time and age when most people are getting crazy with so much things to do, the only way that can help calm the soul is by listening to good music. Paring heart thumping songs or smooth sailing R&B music with the Urbanearts Tanto might be a good idea. We’re so glad that Digits Trading was willing to hook Glich's Life up with 1 lucky reader by giving away the brand new (only opened for review) Urbanears Tanto. Share the Urbanears Tanto review found on this link and NOT this post on Facebook and Twitter. Comment with your full name and direct links to your shared posts. This giveaway runs from May 30, 2012 to June12, 2012. Winners will be announced here thereafter. Note: The winner will have to meet up with us to claim the prize. As such, only residents of Metro Manila are qualified to join. Non-Metro Manila residents may still join, provided that you agree to shoulder the shipping cost if you win. 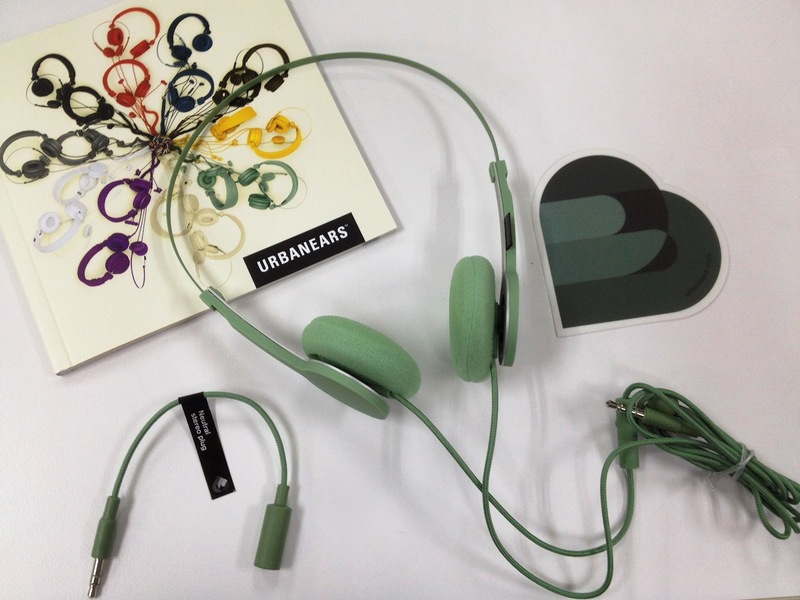 Thanks for everyone who joined the Urbanears Tanto giveaway! Thanks too to Digits Trading for the prize. Randomizer.org has chosen the winner, and the Urbanears Tanto headphones goes to Shirley Mae Tabora! Please send me an email at glichslife(at)glennong(dot)com to know how to claim your prize. I'll be waiting until June 20. If no email is received, the next name in the list will automatically get the prize. Congratulations! Answer to question: My fave feel good music would have to be anything by Adele. My feel good music right now is "Make It Real"
Answer: Any song that I can relate in different scenarios. My favorite feel good music would be something smooth on the ears like the music of Bill Withers and Stevie Wonder. My feel good music are Levels and Fade Into Darkness by Avicii. “What's your favorite feel good music?” I want to listen to alternative rock/ hard rock music like Tokio Hotel, 30 Seconds to Mars, Green Day, Blink 182, etc. Slapshock, PNE, Sugarfree, Itchyworms etc for local. What's my favorite feel good music? I always listen to Bruno Mars' Today my Life Begins. Although this song is less popular among the songs of Bruno Mars, I always feel good, inspired, happy and ready to face all the challenges in my life. It has been my battle cry in this world that is full of battle grounds. This song always make me smile, believing that I can pursue and overcome any challenges in life. This is also my theme song when I resigned from my previous work and transferred to a field where I believe I love more. Just a simple song can make a difference, it can make you realize things deeply. I believe music is not just for entertainment purpose, Music can be your companion in life. When you are happy, listen. When your sad, listen. When your stress, frustrated and depress, listen. It can be your bestfriend. Name: Lu Chiu, Dave Ericson C.
My favorite feel good music is anything that is loud like Slapshock, Green Day, 30 Seconds to Mars, Tokio Hotel, Korn, etc. or emo music like Secondhand Serenade etc. my favorite feel good music is somewhere over the rainbow. My favorite song is "Reflection" sung by Christina Aguilera. It is such a meaningful song. It shows that you don't have to "be someone else" all your life and that you should be you. You should respect yourself and the things you have accomplished. “What's your favorite feel good music?” - Christian Music and PENTATONIX - i love acapella! My fave feel good music would be Asa's songs, smooth and relaxing. Bob Marley's songs would be my favorite feel good music. I'd listen to David Guetta collaborations all day. Never fails to get my blood rushing. I'd probably listen to David Guetta collaborations all day. Never fails to get the blood rushing. My emotions always shift to euphoric whenever I hear the song "I Could Not Ask for More" by Edwin McCain. This song always reminds me the memories and fun that I made and experienced with my current partner in life. “What's your favorite feel good music?” Big The Beatles fan here...so most of their tunes do it for me. Name: Alvin D. Paigna Jr.
What's your favorite feel good music? 90's music are the best no doubt about it. Ghristian Music: Hillsongs, Planetshakers etc. jessica sanches song was my fave feel good music ! “What's your favorite feel good music?” Almost any classic rock. Death Cab for Cutie songs always relaxes me at the end of a stressful day. “What's your favorite feel good music?” The songs Adele. So smooth and cool. “What's your favorite feel good music?” Anything with a harmonica as one of the instruments. My fave feel good music would be the music of Norah Jones. Relaxing, lovely, classic. My fave fell good songs would be Luther Vandross and Brian Mcknight's. The melody is great. Luther Vandross and Brian Mcknights songs are my fave feel good music. My all time fave feel good music is Gravity by Sara Bareilles. My all time feel good music is Gravity by Sara Bareilles. My favorite feel good music is Counting Crow's songs. Favorite feel good music is Steal Away by Billy Crawford. my fave feel good music is mellow music that makes me sleep every time i listen. my favorite music that makes me feel good is the song of journey, dont stop believin'..
What's your favorite feel good music? i love the 80s music. songs from that time are my feel-good music. my feel good music is Lady Gaga's Born this way! Feel good music? Empty With You by the Used! My feel good music is "This Is Why I'm Hot by Mims. my favorite music that makes me feel good is what makes you beautiful-one direction! My favorite feel good music is "Everything" by Michael Bublé. Don Balboahttps://www.facebook.com/yesshop27/posts/273880516042660 https://twitter.com/yesshop27/status/209667404651962370 Great job! My favorite feel good music are our congregational songs from our Church! It creates peace and solitude among my heart and soul. My favorite feel good music is "Rainbow by Jessie J". My favorite feel good music is "Stir It Up by Bob Marley and The Wailers". Its beat makes me close my eyes and say "Aaahhhhh"! My feel good music are those with eargasmic bass and treble may it be Electro, House, Trance or Dubstep. My favorite feel good music is hill songs as it provides a good feeling after you hear the. It is as if you are being healed by the song. my favorite song is more than this-one direction..
my favorite feel good music are amazing grace my chains are gone by chris tomlin and how he love us by kim walker hope this will be your feel good music as well. my favorite music is up all night by one direction! my favorite feel good song are the song of Sitti Navarro. BossaNova..